As a foreword, I have to say that up until about twenty four hours before I took this photo, this was one of the cleanest AE86's I had ever layed eyes on. 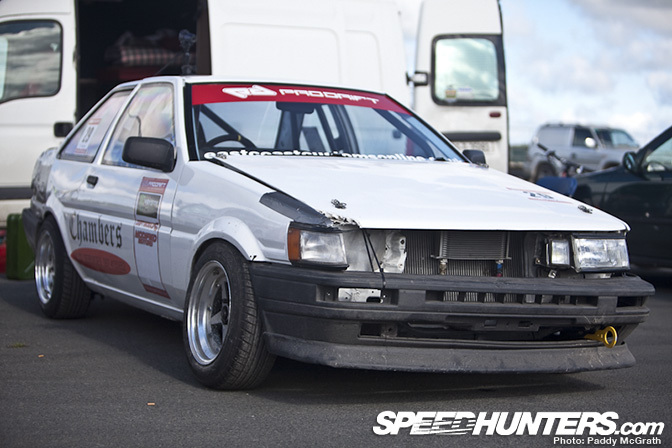 Unfortunately, Donal used the outside wall at Punchestown to re-model the AE86. 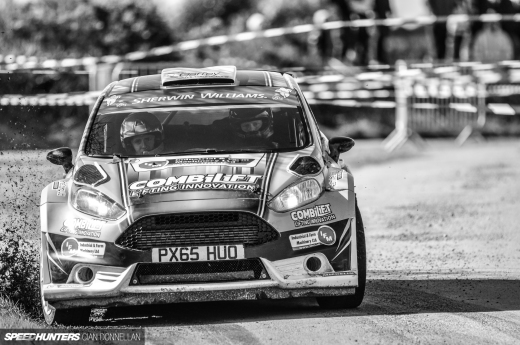 This however has nothing to do with Donal running out of talent, it's more down to the fact that this guy is one of the most balls out drifters I've ever seen. This is the same car in 2009, where Donal spent the season harrassing the pro class drivers in the little hachi that could. His driving style earned him the nickname 'Banzai Corolla Guy' and he instantly became a fan favourite. 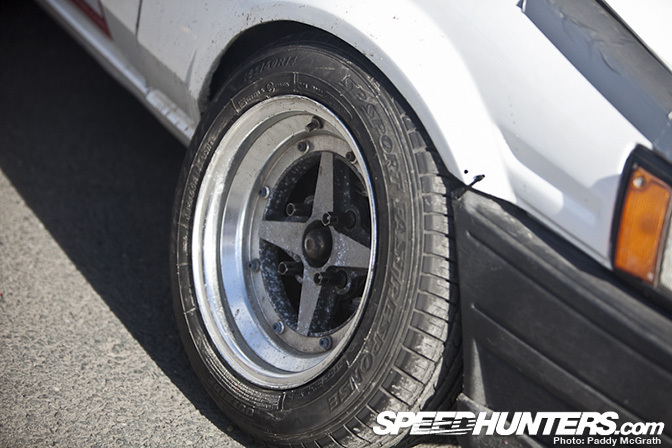 The car is a two door booted AE86 with a bolt in cage. With Bright Racing 14" and the same tire size on the rear. Liberal amounts of ducktape is a temporary solution to keep the quarter panel in shape. Inside we have the usual stripped interior with a large tacho. 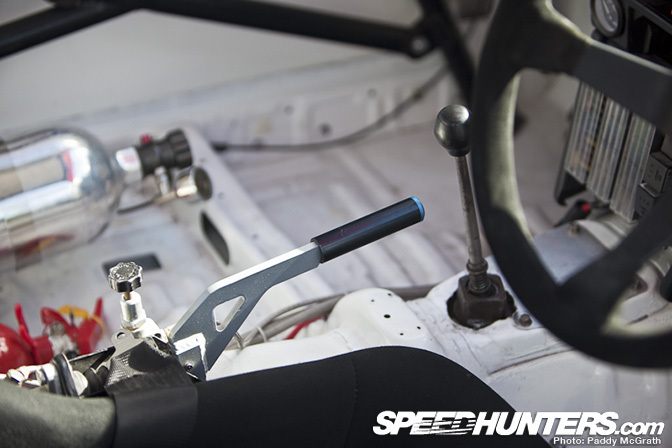 Every drifters friend : The Hydro Wand. Donal's friend : A large bottle of Nitrous Oxide. The 16V 4-AGE has been swapped out for a 20V Blacktop unit. 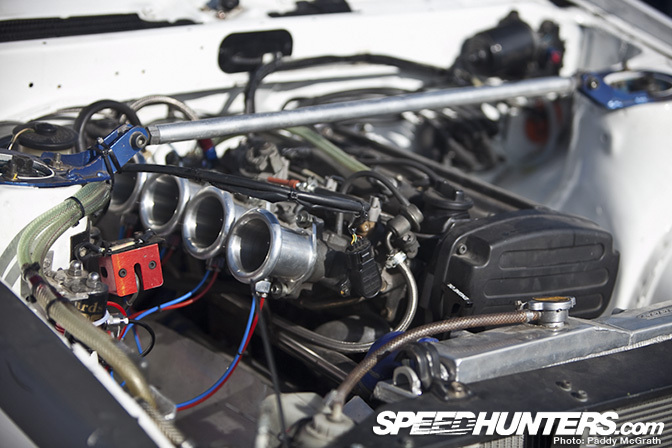 You can see where the nitrous is being injected into the trumpets on the intake. yup.. not Equips all the way around. those are Brights in the pic with the ducktape. 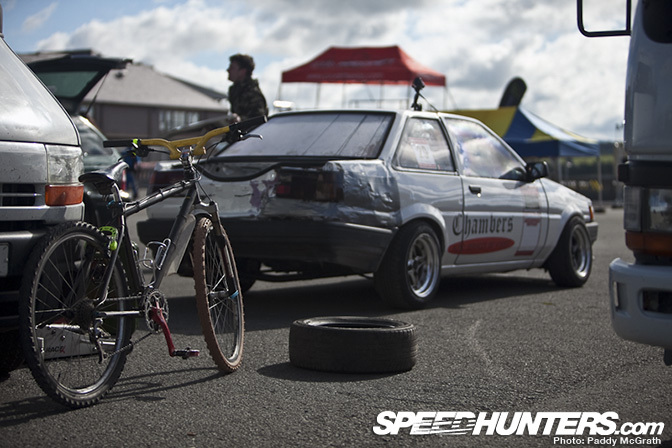 Wow that's a tuff AE86. 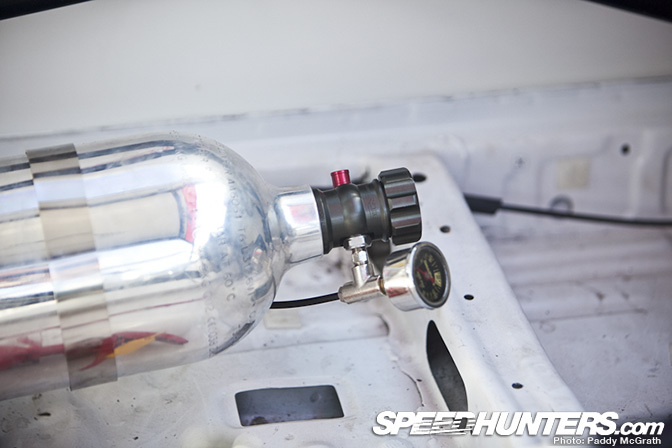 Wizard of nos- nitrous gear rules!!!! 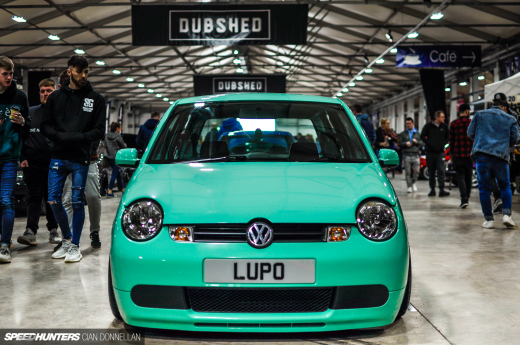 Best nitrous injection parts in the world... Awsome forum too. 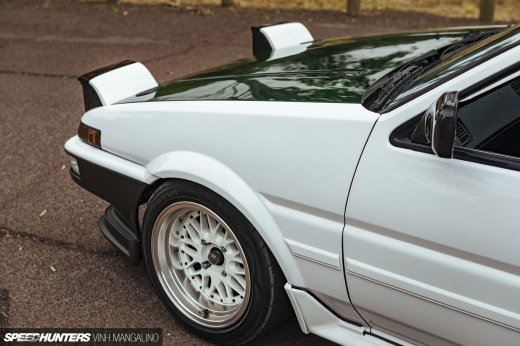 just for the record my 'rugged' comment was a compliment.. meaning 'to look ready for action' in a no nonesense type of way, bearing battle scars of previous road goin episodes.. in a word 'rugged'... i love these AE86's and i'm currently on the look-out for one to call my very own..